It sure is cold in Provo tonight. According to Central Bank Time and Temperature (373-9120) it is about 19 degrees. We were hit with a storm last night, and snow is predicted for the next four days. The pipes at the Provo Library froze yesterday, leaving a whole community without borrowed books (quel horror!) The news is reporting that UDOT (Utah Department of Transportation) has already spent their allotment for snowplows for the year. This is January in its brusque inhospitable glory. I braved the weather tonight to head up to my parent's house for CNN's Republican debate at the Reagan Library in California. 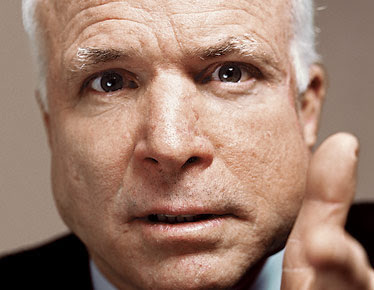 There has been much ado about Mr. McCain and his political momentum at present so I decided to check him out myself. Other spectators were my parents--The Councilwoman and The State Legislator--who have embraced Conservatism since they sported beehives and side burns (respectively). I have a lot of respect for my parents and their desire to serve their/our community. Having said this, I must state that I have long since been suspicious of their everlasting loyalty to the Republican party. My mom is decidedly more passionate about neighborhood rights than property-owner privileges. My dad has been published as a more moderate Republican, sometimes voting with Utah Democrats over issues like the environment. As their unaffiliated daughter I must say that their records make me enormously proud. Never-the-less when it comes to a state and national elections they always support the Republican candidates. We've even had a few of them in our house, meeting our neighbors and eating our refreshments. And so we watched the debate. My dad, just home from a day at the Utah Legislature, in the rocking chair, my mom and I on the couch eating toasted garlic bread. It was especially exciting when Mr. McCain and Romney went the rounds on the Senator's now-called dirty political trick he pulled on the Governor days before the Florida Primary. On the far end of the table there was Huckabus trying to stay relevant and Ron Paul who, quite frankly, is too smart to be the President. Oh and Anderson Cooper. Governor Schwarzenegger, Nancy Reagan and Kelsey Grammer too. Of course we are all Mitt enthusiasts. How could we not be? Not only are we Mormon, but we also like good-looking rich people. If Mitt chose Dr. Laura as his running-mate The State Legislator would be in political heaven above. However I did notice that whenever McCain spoke my dad heaved uncomfortably and shook his head. When Huckafly orated he shifted in the rocking chair. Finally when the debate concluded my dad announced something that I never thought I'd hear from my patriarch, the party-abandoning statement, "If Mitt doesn't get the nomination I am supporting Obama." Not only did he say something that shocked the very foundations of my childhood, he also said what was in my heart. If I can't have Mitt, a man of integrity, then I will take a young politician who is inspiring the masses. But this McCain fellow . . . he does nothing for my political libido. I'd almost rather be celibate. And so it was on this cold night in Provo that my father and I aligned politically. I have to ask though, is it the frost in the air here or are there others out there who feel the same way?